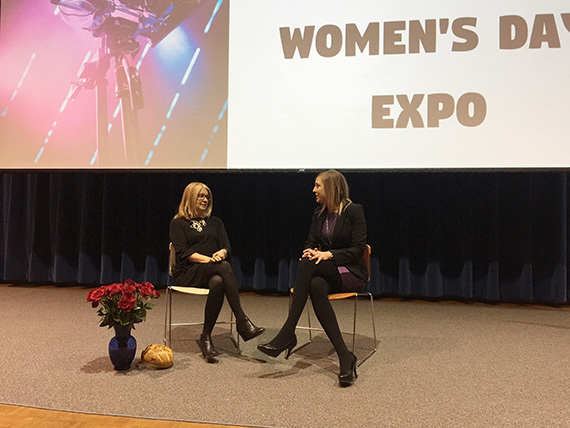 The 2nd Annual WIFTA’s International Women’s Day Film Expo, and WIFTA’s 20th Anniversary showcased the Founding Member Panel and a Post Production Panel. WIFTA Members also screened their short productions, as well as shared their story in a two-minute introduction. Pictured below is NFB Producer Bonnie Thompson in dialogue with WIFTA Vice President Jesse Szymanski.